DUI (driving under the influence) and DWI (driving while intoxicated) offenses can invite significant penalties if proved in court. You can use a viable defense and convince the prosecution to ask for lenient charges for you; avoid your driving license suspension; or get acquitted if a trial takes place. The prosecution needs to establish two important things in court. First, the defendant was driving the vehicle and second, he was under the influence of alcohol, drugs or both at the time of accident and was unable to drive safely. The defense needs to negate these two elements and also prevent the prosecution from presenting any evidence in trial. Conviction can take place only if it can be proved beyond doubt that you were driving the vehicle at the time of the offense. If the police officer did not actually see you driving, the defense can use this debatable point for the benefit. A police offer should have a valid reason to stop your vehicle and follow legal procedures while making the arrest. If he provides inadmissible evidence in the court against you, then it can lead to dropping of charges against you. Any reason that does not give the officer a probable cause for stopping, detaining or arresting you for DUI or DWI charges can save you from a trial, if you can provide evidence for it. As part of the process, a police officer should essentially give you correct Miranda warnings while making the arrest. If he fails to do so, you can get certain evidence excluded on trial. 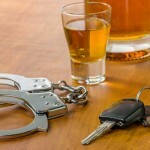 To prove your case in the court, it is advised to hire an expert DUI/DWI attorney. The expert can help you understand the available defenses against your DUI/DWI charges better, hence help you to be free from the charges.